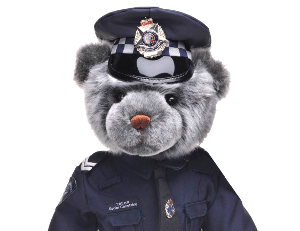 The Peninsula Branch of the Victoria Police Blue Ribbon Foundation has been enormously active in their communities to provide much-needed emergency facilities to Peninsula hospitals at Frankston & Rosebud. 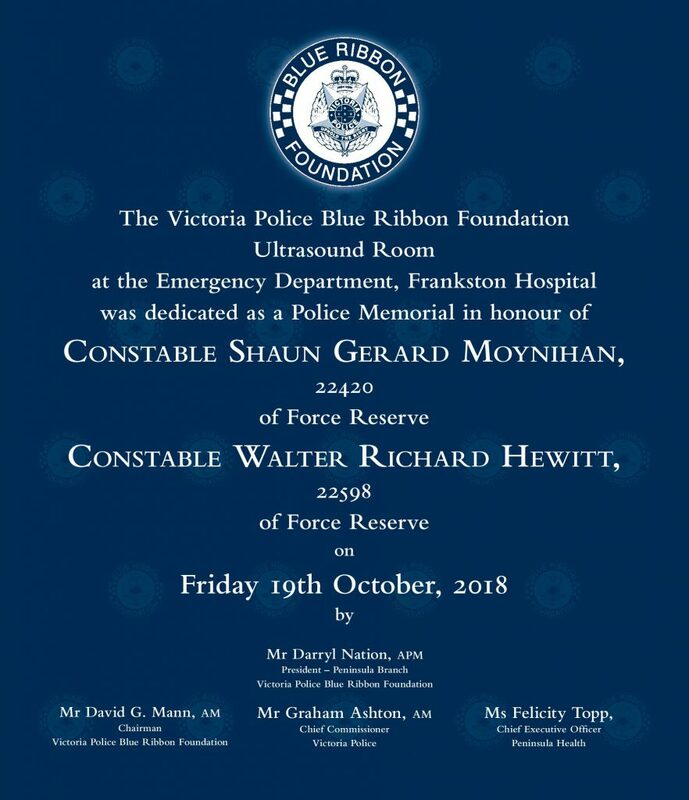 In October 2018, the Branch dedicated the new Ultra-Sound Room in the Emergency Department at the Frankston Hospital, in memory of Constable Shaun Moynihan & Constable Walter Hewitt. 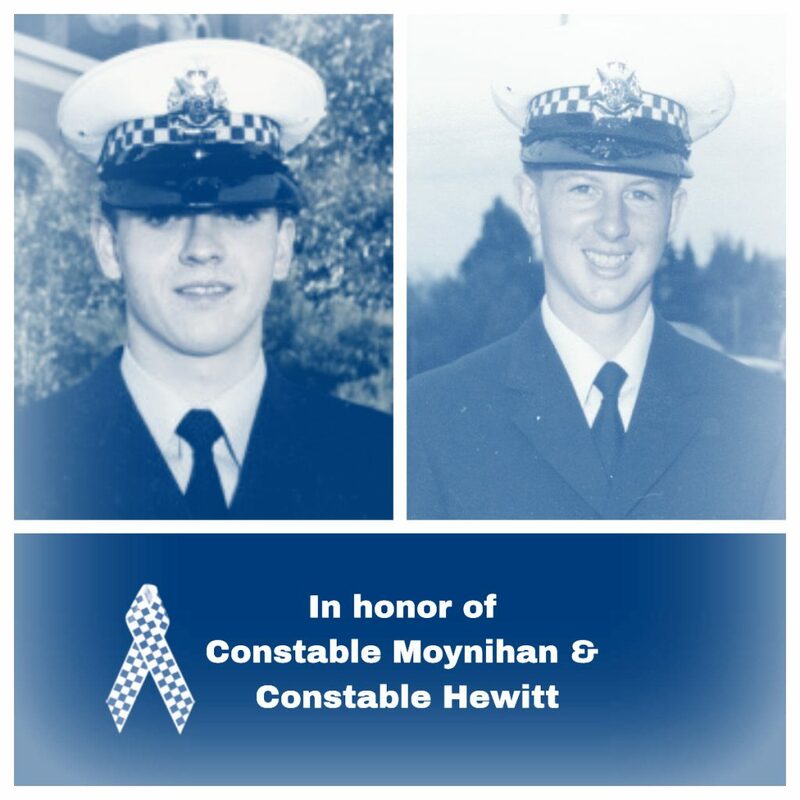 Ultrasound is one of the most commonly used diagnostic tools in medicine and this contribution by the Blue Ribbon Foundation has provided more up to date ultrasound equipment for the emergency department at Frankston Hospital. With this latest equipment medical staff will be able to provide patients presenting at emergency with time-effective and less invasive diagnosis for a range of symptoms. The Ultrasound room was recently re-equipped by the Foundation’s donation and is fully operational.